It's time for a whole new kind of love story. The mere mention of the word has my grandmothers running for the hills. But I have always been drawn to them, for as long as I can remember. This is my story. In this dreadlock memoir I tell you what drew me to lock my hair, how I maintained them, what life was like for me—you haven't lived until you've had your dreads nibbled on by goats, let me tell you!—and what, seven years later, ultimately led me to release them. But this is not only my story. As my family and I lived on the road, I met so many shining dreadlocked beauties over the years and there's nothing like locks to give you an instant tribe! Besides our immediate connections I always enjoyed hearing their stories. From deep philosophical reasons to a simple “I just liked them,” each journey is so personal and unique. As I continued to write about my own experience it became clear that I needed to include the stories of my friends, too. 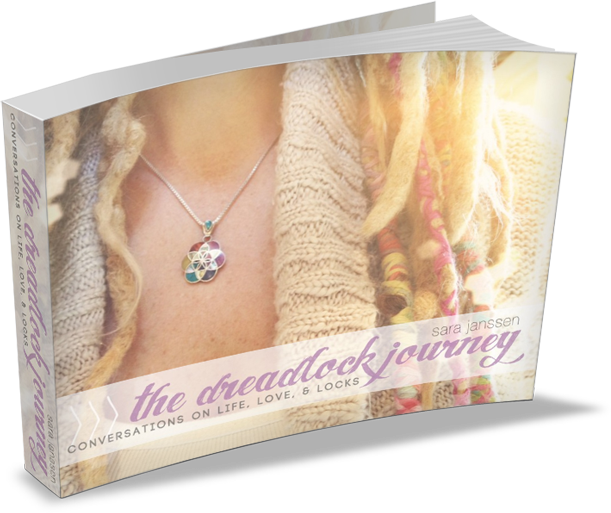 And so The Dreadlock Journey—Conversations on Life, Love, & Locks was born. This dreadlock collective is the first anthology of its kind. Whether you've had dreads for years, are just starting out, or are simply curious why someone would want to do that to their hair!? this book is for you! Imagine the wisdom of their collective stories available at your fingertips. Dreadlocks are like a secret portal to a whole new and mesmerizing world, aren't they? So many people tell me they've always wanted them but don't know where to begin! ...and I'm here to change that. The Dreadlock Journey—Conversations on Life, Love, and Locks offers not only a yummy collection of locking stories but you will also read about different methods used, the emotional, spiritual, and practical pros and cons of dreadlocks, and a wealth of information to help you make empowered and informed choices about your own hair! So you've always wanted to lock your hair, but have been too nervous / scared / uncertain to try? Do I have to shave my head if I don't want dreadlocks anymore? What about the saying that all dreadies are just dirty hippies? Is that true? Can I still wash my hair with dreadlocks? My hair is very fine. Can I still have dreads? How do you do dreads, anyway? My book will answer all of these questions and more! Think of The Dreadlock Journey as an insider's guide that will demystify the process for you. It will give you the inspiration and confidence you need to begin! 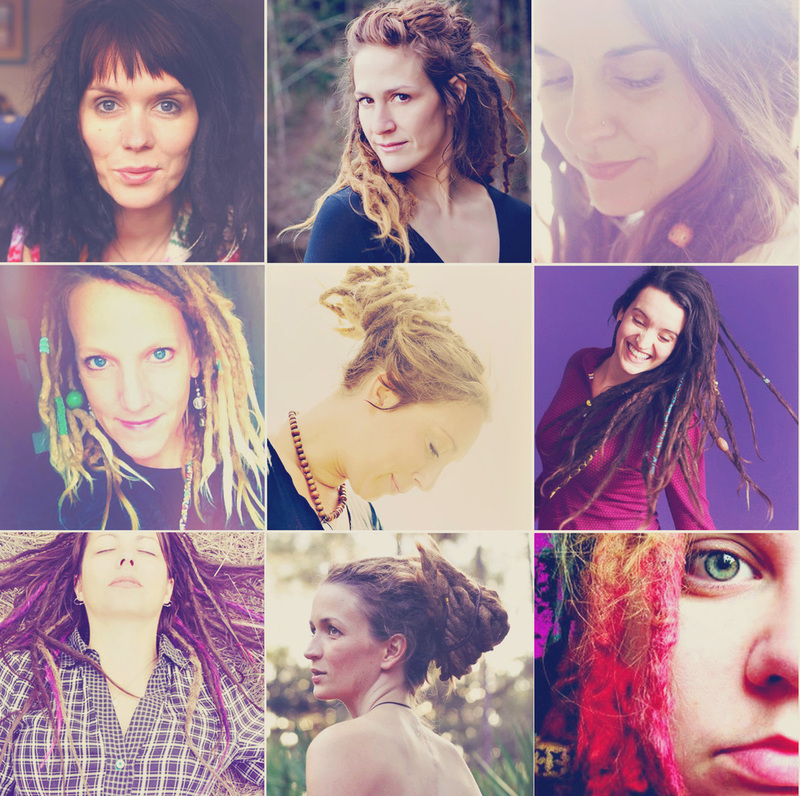 The Dreadlock Journey features stories from Mandy Steward, Denise Andrade, Pixie Campbell, Emily Falconbridge, Hillary Rain, Tara Wagner, Catina Jane, and SO many more lovelies. 32 to be exact! And of course, my dread-cutting story is included as well, along with other bonus goodies! Where else could you be advised by a gathering of beauties such as these? **Please note that The Dreadlock Journey is an eBook and you will be able to immediately download it to your computer or phone. No hard copy will be shipped. + Dreadlock Resources...all my favorite stuff!